I found a quinoa recipe in the good housekeeping website. 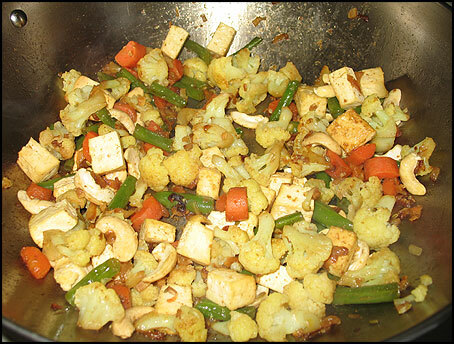 (check recipe at Vegetable Quinoa Curry). 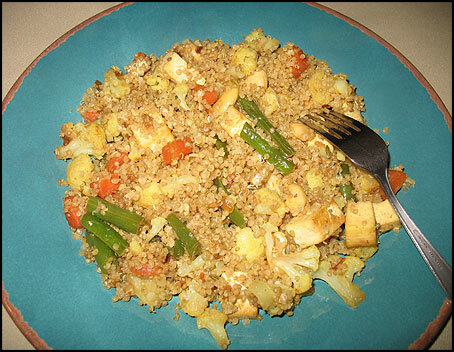 I took this recipe and modified to make it as a vegetable quinoa pilaf. Quinoa is a grain like plant grown for its edible seeds. Even though quinoa looks like a grain, it does not belong to the grass family (graminacea). Quinoa is closely related to spinach, beets, and Swiss chard. 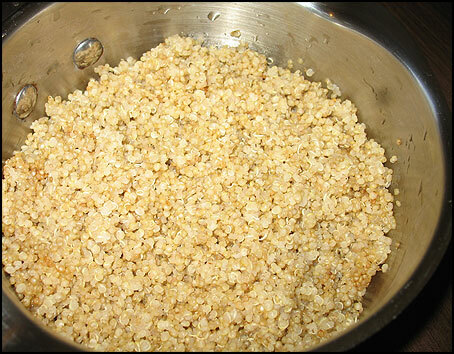 The most common ones are the white quinoa which becomes transparent or off white when cooked. But other varieties features colors as red, orange, brown etc. Cooked quinoa seeds are very fluffy and crunch in taste. When cooked, the bead like quinoa will have a tiny tail like protruding from the seeds. Break the cauliflower into small florets. Slit the carrot lengthwise and then chop diagonally into thick slices. Cut green beans into 1½ inch pieces. I think I will make some for lunch!